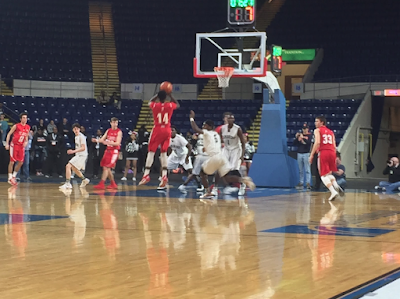 We expect St. John's (Shrewsbury) and Cambridge to once again make their ways deep into the D1 state tournament. 1. Cambridge (Last Season: 25-1): The reigning Division 1 Champions return their two best players in point guard Jakigh Dottin and rim-protecting center Dimon Carrigan. The Falcons have plenty of talent to surround those foundational pieces and look poised to repeat. 2. BC High (Last Season: 15-8): Gone is savvy point guard and coaches’ son Jack Loughnane, but the Eagles replace him with a budding star in Travis Evee. Carl Pierre should lead BC High offensively in a Catholic Conference that is suddenly wide open. 3. New Mission (Last Season: 23-3): After defeating Concord-Carlisle in the Division 2 State Final last March, Cory McCarthy said that championship meant more than any other. Yet the master motivator will still find ways to get 110 percent effort out of his Titans during their title defense, which began with a win over St. Mary’s (Lynn) last Friday. 4. Newton North (Last Season: 22-4): The Tigers were denied a D1 South Title for the second consecutive season by Catholic Memorial, but seem to have the advantage over the Knights this season with ESPNBoston all-state guard Ethan Wright leading a talented young roster. 5. Mansfield (Last Season: 20-5): With one of the best coaches in the state at the helm in Mike Vaughan, the Hornets will always remain competitive. Max Boen and Matt Ehrlich are ready to take a big step forward this season. 6. Catholic Memorial (Last Season: 22-3): It will certainly be difficult to replace program mainstays Matt Hanna and Brandon Twitty, but the Knights will continue to play their frenetic style and wear teams down, whether they’re at home or on the road. 7. Franklin (Last Season: 17-6): Underclassmen were the strength of the Panthers' roster last season, as they advanced all the way to the D1 Central Final against St. John’s (Shrewsbury). That certainly bodes well for their chances heading into the 2016-17 season. 8. Needham (Last Season: 18-4): One of several teams on the rise in the increasingly competitive Bay State Conference, the Rockets will go as far as elite scorer Thomas Shaughnessy can take them. 9. Everett (Last Season: 18-4): Point guard Ghared Boyce is going to be a problem for every team on Everett’s schedule this year. With solid rebounders and role players to surround him, the junior could lead the Tide deep into the D1 State Tournament once again. 10. Springfield Putnam (Last Season: 21-3): Still the class of Western Mass, Putnam will look to move on without superstar forward Tyonne Malone. The next man up for the Beavers is elite prospect Taelon Martin. 11. St. John’s (Shrewsbury) (Last Season: 23-2): While the Pioneers lost arguably their most valuable player in Adham Floyd, they return plenty of size with junior forward Sean Burke and sophomore center Cole Stairs ready to step up alongside guards Tyler Mola and Alex Bradley. 12. St. John’s Prep (Last Season: 15-7): The Eagles lost a lot with several key players graduating and transferring after a disappointing 2015-16 season, but they also bring in several top prospects, including 6-foot-4 forwards Colin Lomasney and Matt Relihan. 13. Marlborough (Last Season: 18-5): While the Panthers came up just short in the D2 Central Final against Concord-Carlisle, superstar forward Chris Doherty returns, and Marlborough looked dominant in a 61-26 win over rival Hudson to being the year. 14. Brighton (Last Season: 16-9): The Tigers “Fab Five” sophomores return along with senior guard Jordan Galloway, giving head coach Hugh Coleman all the talent he should need to compete in the loaded City League. 15. Central Catholic (Last Season: 16-8): The Raiders suffered a huge hit when Tanahj Pettway transferred to Putnam Science Academy, but they still return Victor Mwuarah and incoming junior Colin Bradanese, whose older brother Josh just finished a storied career at Billerica. 16. Malden Catholic (Last Season: 15-8): Lancers star incoming junior Michael Boyd is staying at Malden Catholic, and that gives this team as good a shot as any to fight for a Catholic Conference title. They opened the season with a tough win at Quincy. 17. Foxborough (Last Season: 18-5): The young Warriors gained tournament experience with victories over Woburn and Memorial at the Comcast/Arbella Classic last February, and advanced to the regional semifinals, where they fell to D2 South Champion Whitman-Hanson. 18. St. Mary’s (Lynn) (Last Season: 20-5): The Spartans might start slowly with star guard Calvin Johnson sustaining an injury at the end of football season, but they have enough young talent returning to defend their D4 state title. 19. Tewksbury (Last Season: 15-8): Nate Tenaglia went out with a bang in the Redmen’s heartbreaking 68-67 loss to Woburn in the second round of the D2 North bracket. Now Gio Ciampa will be stepping in as the point guard for savvy head coach Phil Conners. 20. Concord-Carlisle (Last Season: 22-2): Graduated big man Eric Sellew did so much more than just score and rebound for the Patriots, and it will be impossible for one player to replace him. Yet this is still one of the best programs in the region, and they will be ready to play on opening night at Cambridge. 21. Lowell (Last Season: 20-3): Head coach Bob Michalzcyk led the Red Raiders all the way to the D1 North Final last spring and he could repeat that feat with athletic guard Alex Rivera leading Lowell’s solid roster. 22. Whitman-Hanson (Last Season: 23-3): The reigning D2 South champs bowed out gracefully after giving New Mission everything it could handle in the state semifinals at the TD Garden. 23. Maynard (Last Season: 15-8): Corey Olivier is one of the best players in Central Mass, and the Tigers have a good chance to earn their way back to the state finals with him leading the team. 24. Salem (Last Season: 20-3): Running into Brighton in the D2 North semifinals was the last thing the Witches wanted, but losses in that round of the postseason does nothing to diminish what they accomplished by going 16-0 to win the Northeastern Conference. 25. Charlestown (Last Season: 15-7): After a rough start, the Townies came alive during the City League and state tournaments. So far, they’ve survived Boston English to begin the 2016-17 season.